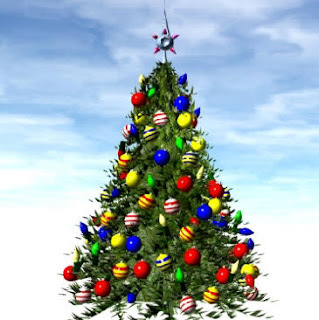 AllThingsDigitalMarketing Blog: Merry Christmas, Happy Hanukkah, Kwanzaa and Happy New Year 2018 America! Merry Christmas, Happy Hanukkah, Kwanzaa and Happy New Year 2018 America! 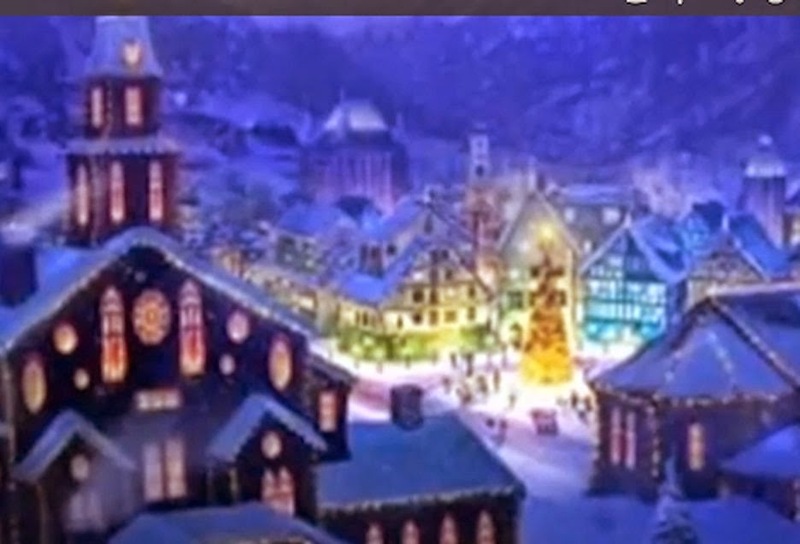 Click here to enjoy my Christmas, Hanukkah, Kwanza, and New Year eCard and "Have a Merry Christmas, Hanukkah, Kwanzaa and Happy New Year America!" Twelve more days until Christmas: Merry Christmas America! Happy New Year too! Wishing you a very "Charlie Brown Christmas," and The Gift of Silver Bells and Chocolate! "...When we recall Christmas past, we usually find that the simplest things -- not the great occasions -- give off the greatest glow of happiness..."
(May 29, 1903 – July 27, 2003)English-born American comedian and actor on Broadway, in vaudeville, movies, television, and radio. This year, Hanukkah began on Tuesday, December 12, 2017 and ended Wednesday, December 20, 2017. Kwanza will begin on Tuesday, December 26 and will end on New Years Day, Monday, January 1, 2018. Like many households during Christmas season, in the center of our table you will find all sorts of desserts --cookies, cakes, Italian pastries, etc. During the 12 days before Christmas and the 8 lights days of Hanukkah have fun decorating, baking and partying with family and friends. There are so many other traditions and cultural customs during this festive season. Week-long holiday, Kwanzaa is celebrated from December 26th through January 1st and symbolizes "fruits of the harvest." Held in the United States since 1966, Kwanzaa honors African heritage in African American culture. Kwanza was created by Maulana Karenga in 1965 and has seven core principles (Nguzo Saba). Traditions include baskets full of fruit and gift-giving. 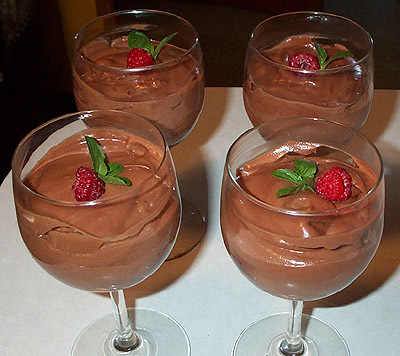 Every once in a while during Christmas Eve and Christmas Day, I would bring that favorite, rich treat to my family table -- dark, decadent chocolate mousse. 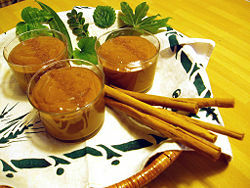 Every once in a while, I would bring that favorite, rich treat -- dark, decadent chocolate mousse. What makes mousse so unique is the light and airy texture from air bubbles. 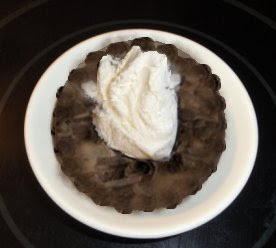 Depending on preparation and mix intensity mousse variations range from light and fluffy to creamy and thick and can be sweet, bitter or savory. The great thing about this dessert is the prep time is only six minutes and then all you need do is refrigerate it for an hour. ► I've tried with the usual raspberries, strawberries, blueberries, but also tried cinnamon sticks, walnuts, cranberries, etc. ►Add the boiling water, stirring, until gelatin is dissolved. ► Add the gelatin mixture and beat until well blended. Click this link to view my eCard and "Have a Merry Christmas and a very Happy New Year!"